This highly concentrated cream combines our powerful AP4® Aloe Vera Complex, vitamins, essential botanicals & exfoliants to help improve the appearance of dry skin. Non-greasy formula helps provide the look of softer, moisturized heels, feet & elbows. I love this cream as it keeps my naturally dry ashy feet moisturized through out the day. A must have for flip flop season.I have noticed my heels have been significantly less cracked with use. This product is amazing! My skin feels so soft! No more dry, cracked feet for me! I wear flip flops ALOT because I have neuropathy, therefore my feet are dry. 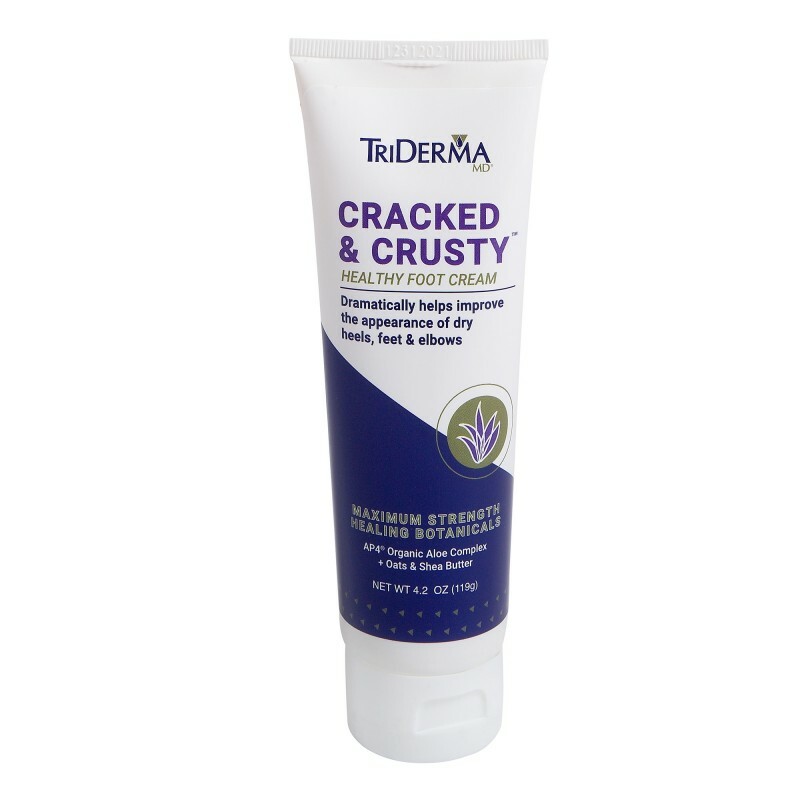 Cracked and Crusty feels so creamy you can literally feel it working right away and you don't have to use a lot. I love it, I use it every night after my shower then put on socks. Even my son loves it. He's 23 and just asked where can we get more?? Highly recommend Cracked and Crusty !!!! Helps my feet, it's awesome! I have issues with dry heels and this is a life saver! Apply generously as often as needed. aloe barbadensis (aloe) leaf juice*, cetearyl alcohol, urea, isopropyl palmitate, polysorbate 60, salicylic acid, beeswax (cera alba), dimethicone, allantoin, zinc PCA, avena sativa (oat) kernal flour, sodium PCA, sodium hyaluronate, panthenol (pro-vitamin B5), butyrospermum parkii (shea butter), cetyl alcohol, tocopheryl (vitamin E) acetate, sodium phytate, sodium hydroxide, phenoxyethanol, ethylhexylglycerin.